Everyone invited, we also need volunteers for our booth. We have a booth all season long at the Farmers Market Ogden on Historic 25th St. by Roosters Brewery from 9 am to 2 pm every Saturday until September 16th, please come over to have a great time with international cuisine, the best organic produce [and fruits], live music, and the most affordable and beautiful jewelry and crafts of northern Utah, that will do the magic. The KWCR crew and volunteers will be promoting our new national college radio application RadioFX which contains most of the college, tech and university radio stations in North America. 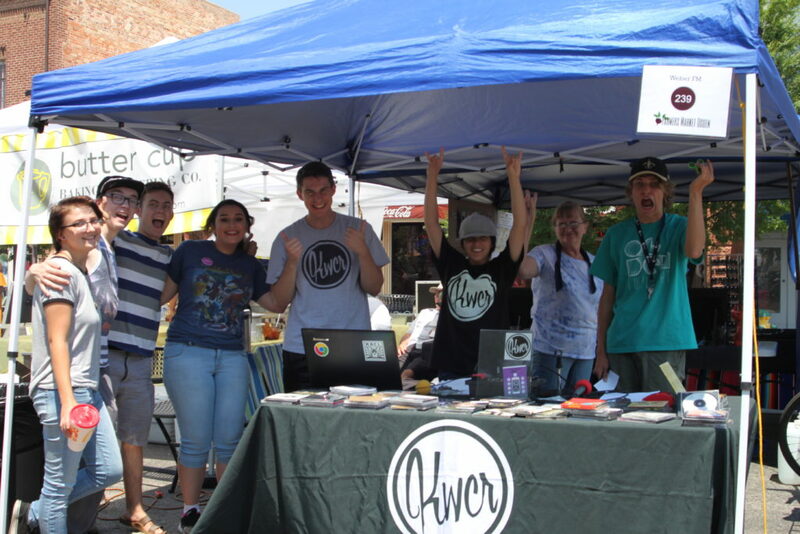 If you haven’t downloaded the app, you can download it here >>> RADIOFX DOWNLOAD … Or you can come over to our booth this Saturday from 9 – 2 pm and by showing us your app download you can have free CD’s from local artists and bands: all fun!